According to US News and World Report, Colorado State University is ranked one of the best colleges in the country and had a 2011 endowment of $234.7 million. The College of Veterinary Medicine and Biomedical Sciences is well renowned, and the school is considered one of the country’s leading research universities. 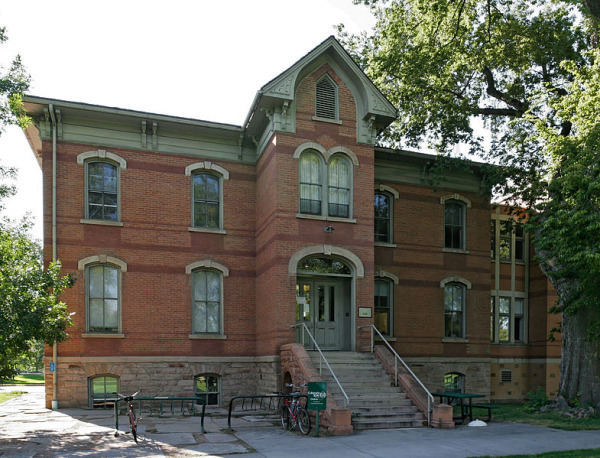 Some of the best-known areas of investigation at Colorado State University include atmospheric science, infectious diseases, clean energy technologies and environmental science. Colorado State University researcher Dr. Herbert Schweizer has been in the news recently for publishing widely in the research area of antibiotic resistance. Schweizer was consulted by a panel of the European Union Innovative Medicines Initiative in Brussels, Belgium, where he represented the United States as the sole American academic scientist. “Dr Schweizer’s laboratory also provides unique bacterial strains and other tools for drug discovery efforts that are frequently licensed to industry through CSU Ventures,” said Rodman Tompkins, Director of Licensing and Business Development for Colorado State University’s technology transfer office. The latest NIH and NSF funding statistics suggest that Colorado State University is a very well-funded market for lab suppliers and biotechnology vendors marketing life science solutions. In 2012, the NIH awarded the school $34.6 million. The NSF also gave Colorado State University $33.6 million in research funding in 2012. If you are a lab supplier interested in gaining scientific product sales leads and marketing life science solutions at Colorado State University, Biotechnology Calendar, Inc. invites you to attend our annual life science marketing events held at two Colorado State University campuses. The Foothills Campus BioResearch Product Faire™ Event will be held on June 17th, 2013, and the Fort Collins BioResearch Product Faire™ Event will be held on June 18th, 2013. Last year, the Foothills Campus BioResearch Product Faire™ Event hosted 74 attendees. 16 visitors were purchasing agents, professors and post docs, and 14 were lab managers. Those attending came from 10 different research buildings and 14 departments around campus. The Fort Collins BioResearch Product Faire™ Event attracted 184 attendees, of which 45 were purchasing agents, professors and post docs, and 26 were lab managers. The visitors represented 17 research buildings and 22 departments. Biotechnology Calendar, Inc. is a full-service life science marketing and events-planning company that has been organizing trade shows for 20 years. Click on the buttons below for Colorado State University trade show special deals and more detailed funding statistics for the school. If you are interested in attending life science marketing events closer to home, we encourage you to view our 2013 calendar of events.